Exciting upbeat interactive worship time. For Sunday School and Children Workers, Teachers and any one who has a desire to communicate God's Word. 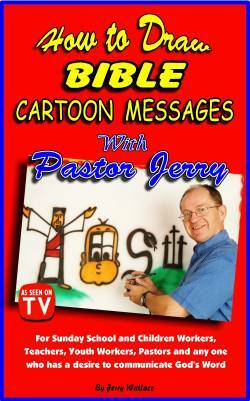 This DVD is great for Children's Church and Sunday Schools with it's short 4 minute Gospel presentations! Below is an example (45 min. to 1 hour up to 2 hours) may include depending on time frame. 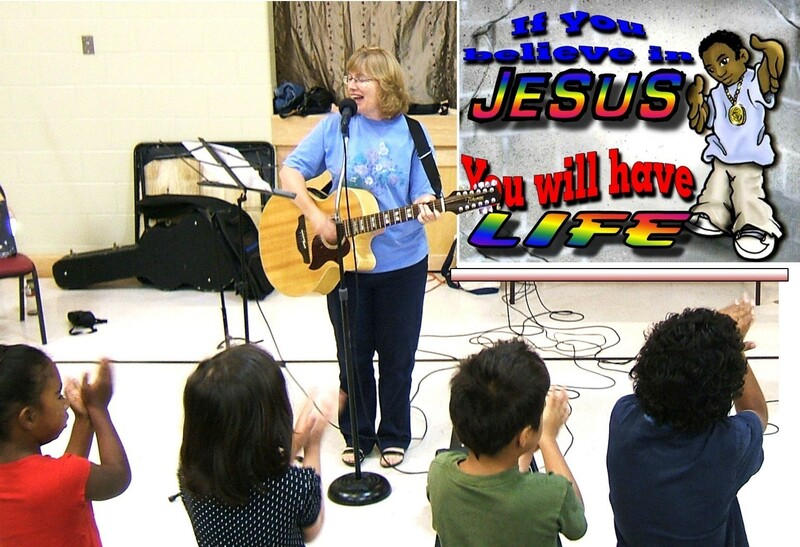 ~ Upbeat interactive worship song time with colorful projected choruses and lots of actions. ~A Bible verse is taught with large air brushed visuals. ~Slight of hand object lessons (not referred to as magic). ~Either a large black light chalk drawing or an air brush spray painting. 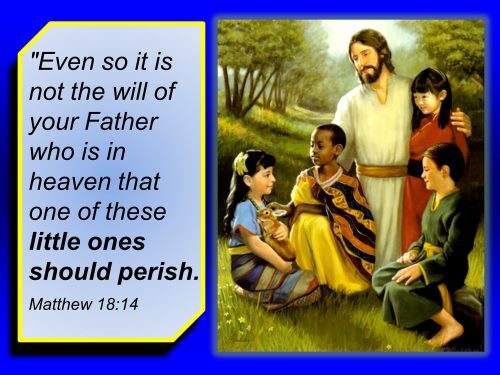 ~A child friendly gospel message. 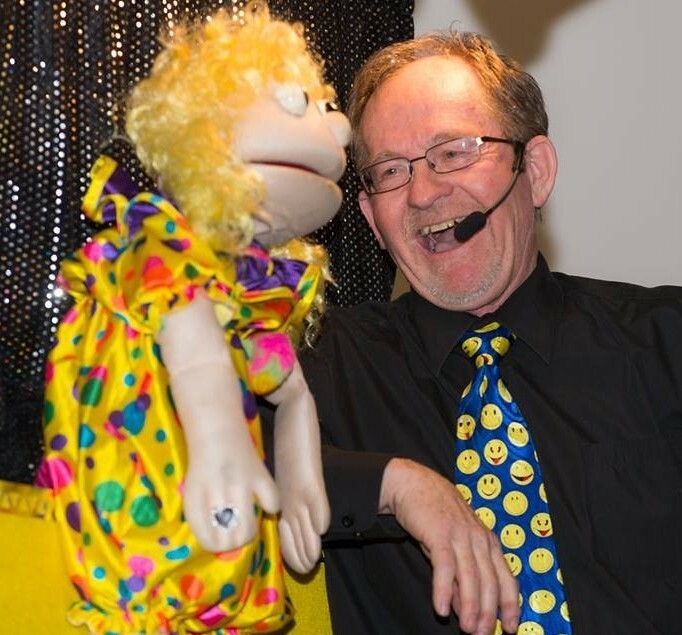 "Jerry is a very gifted artist who uses his talent to great effect when ministering to children. His story telling ability, as he draws with his air brush at the same time, is second to none." Gospel so that even the youngest child can understand. Jerry was a regular guest on the week day children’s T.V. show “Truth Quake” on the CTS network for two years and can still be found on the YES TV network.
" 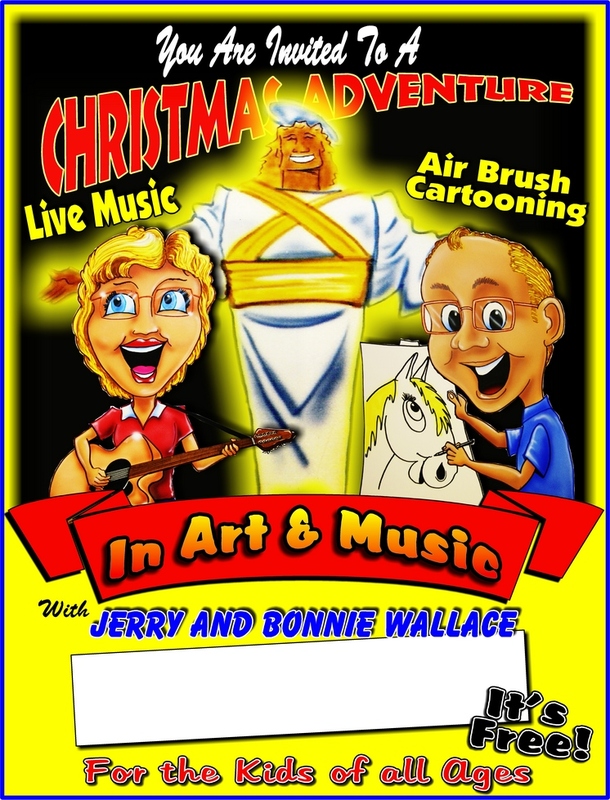 The Wallaces' presentation is exciting, entertaining, fast paced with an excellent variety - singing, puppets, air brush cartooning, illustrated Bible stories, and a power gospel presentation." 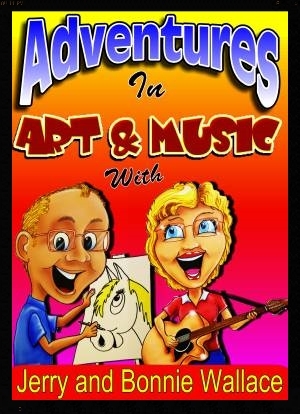 "Bonnie, you are so gifted in music and have such a beautiful way of involving children in enthusiastic singing. I appreciate the way you helped them to worship the Lord with excitement." We bought your CD and listened to it on the way home from Family Camp. It’s no exaggeration to say that we have probably listened to the CD about 30-40 times in the last couple of weeks, and that’s just in the van! Our kids have memorized the lyrics to many, if not most, of the songs. "Jerry, I just want to thank you and Bonnie for your wonderful presentation to the kids yesterday downstairs. I was the gramma with my two grandchildren they were quite affected (by the Holy Spirit PTL!) by the stories and analogies..."
We are evangelist and believe firmly that children can make a decision to follow Christ. 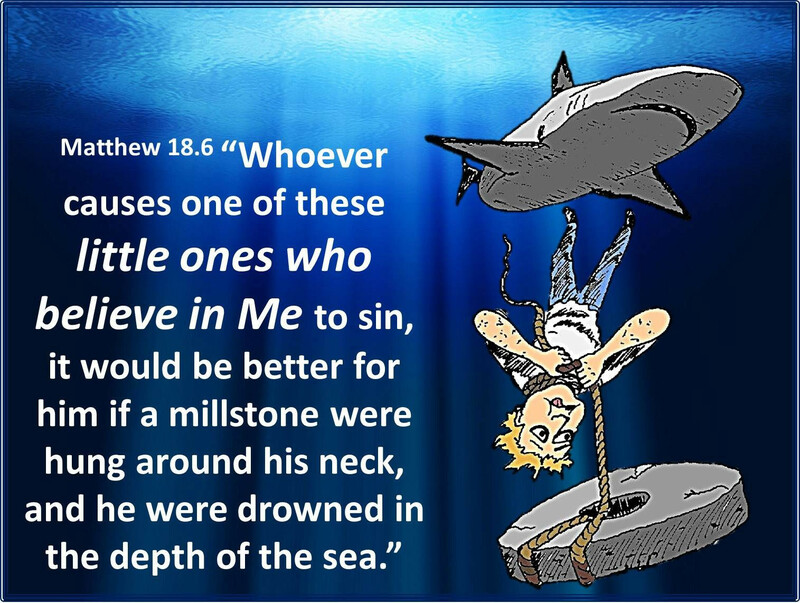 Matthew 18.6 “Whoever causes one of these little ones who believe in Me to sin, it would be better for him if a millstone were hung around his neck, and he were drowned in the depth of the sea. This verse states clearly that children can “believe” in Jesus. 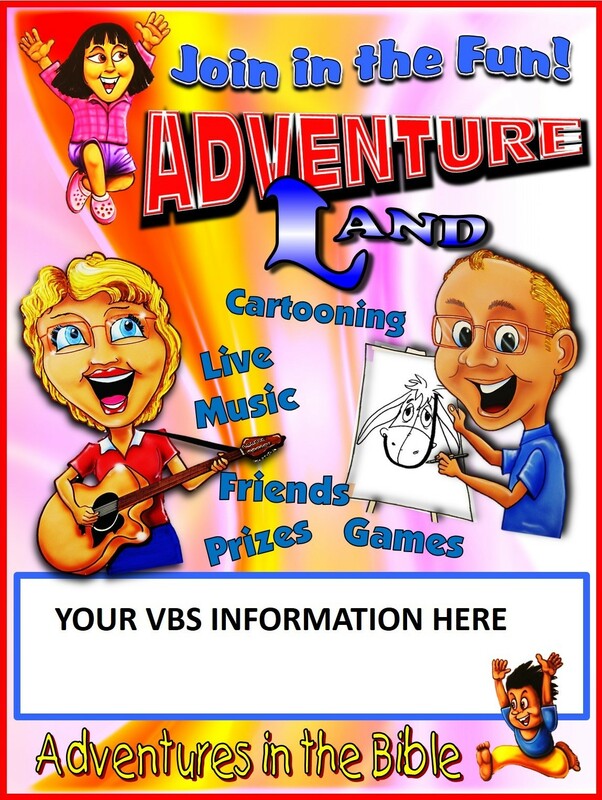 In every service we will give an invitation, it will be brief and without emotional pleas, but child friendly. We do not use scare tactics or warnings about hell. about asking Jesus to come into your life, you can bow your head and repeat after me”. Pastor Jerry will lead them in a short conversation style prayer. Our one goal is to see children come to know who Jesus Christ is and to believe in Him. We are not just entertainers nor baby sitters, yet we will use our talents with the Holy Spirit's power to make the truths of God's Word come alive to the children. Jerry and Bonnie have been ministering to families since being married in 1979. Their unique blend of art and music has taken them across Canada, United States and overseas ministering in churches, camps, conferences, schools, teacher training seminars and Vacation Bible schools and outdoor festivals. 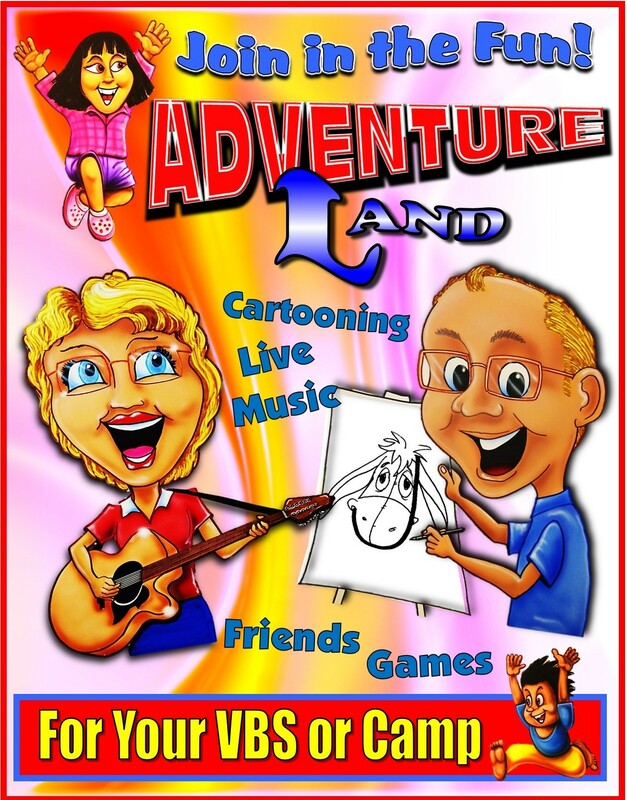 Their program is geared for today’s visual active children with lots of fun upbeat music, live cartooning, hilarious puppets, games, multimedia educational fun facts, plus the Gospel in a child friendly manner. I just wanted to thank you both for such a fun morning!!! You did such a wonderful job with the kids – we had one family who had to leave early due to sports, and the little boy was in tears, not wanting to leave. It was an honor to have you celebrating with us, and the kids had so much fun singing along and learning more about Jesus. You now have a fan club at The Bridge, and are very special people in our world.